I recently read an article about the great need to read to young children. Though the article is specific to my neck of the woods (Utah County), it is clear that the issues raised in the article are applicable to other contexts, and the plea to act can be generalized to most, if not all, locations within the U.S. and the world. 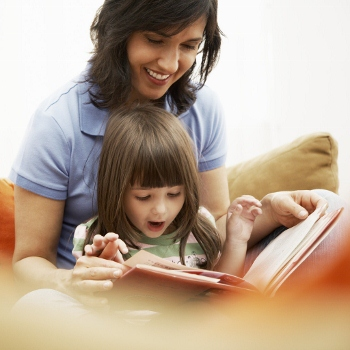 "READING TO YOUR CHILD has never been more critical than it is now. It plays a key role, especially before third grade, in keeping that child in school, out of jail, and off welfare. "It is so important, in fact, that if your next-door neighbor is a single mother who works two jobs and doesn't have time to read with her children, you should go over and read to them for her. It will pay huge dividends in the future--not just for those children but for society as a whole. "That is the finding of a growing body of research that can no longer be ignored. Statistically, at least, you can make accurate predictions of a person's whole life by third grade based on reading ability." I encourage us all to think about ways we can get involved in literacy efforts in our own communities, and then to act on these ideas, even if it's as simple an act as reading to children in your neighborhoods...or better yet, reading to your own children, grandchildren, nieces, or nephews.